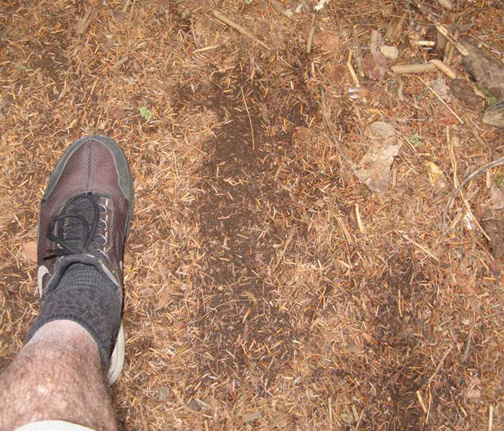 Bagby Hot Springs, Oregon, October 31, 2009, photograph of large possible Sasquatch footprint compared to photographer's foot in shoe. Bagby Hot Springs in the Mount Hood National Forest is about 67 miles southeast of Dundee, Oregon. Image © 2009 by Jeff Rone, Oregon Sasquatch Search. 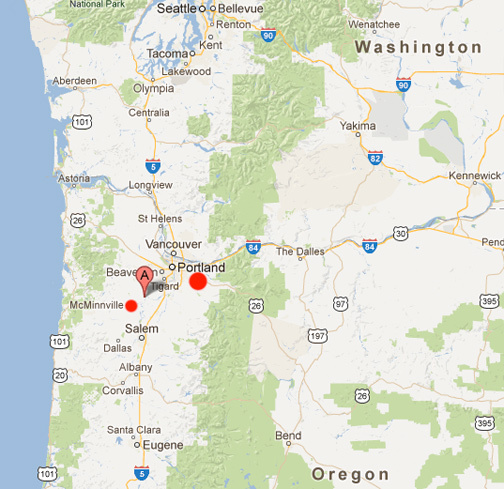 The purple and red marker is Bagby Hot Springs in Oregon's Mt. 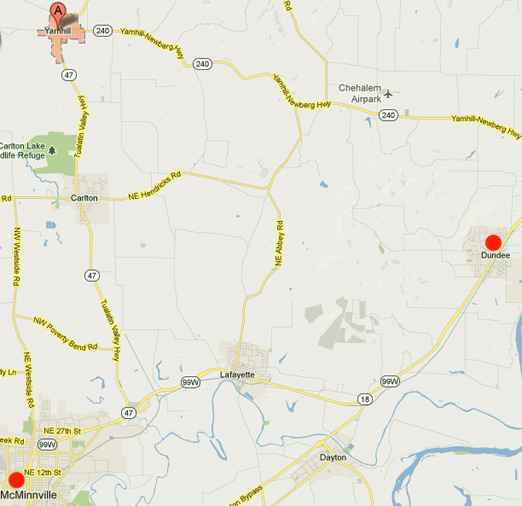 Hood National Forest about 67 miles southeast of Dundee, red circle between McMinnville and Newberg. January 4, 2013 Dundee and Yamhill, Oregon - For at least 150 years, Oregon's Willamette National Forest, the Yamhill County and Willamette Valley surrounding Dundee, Mount Hood National Forest and straight west to the tidelands on the Pacific Ocean have all been places where people have reported seeing and hearing large, dark-haired Sasquatch or Bigfoot creatures, the elusive humanoids of North America.